Probably more than any of her contemporaries with whom she is most often compared,Sarah Vaughan's voice not only survived the vicissitudes of years of performing, but matured remarkably well. Her performance at this concert assured all that she could still go from bluesy growls through crystal clarity to sounding cute at the higher range. The Paris concert turned out to be a love fest between Vaughan and her audience. Starting off with a lengthy warmup by the trio, featuring Frank Collett's piano on "Hi-Fly," Vaughan makes a dramatic entrance singing "Summertime" a capella, establishing the vocal framework for the remainder of the concert. Vaughan is fully aware that her voice and persona are special. She is not all reluctant to use them to milk that last droplet of applause from the audience. All of the songs on the playbill are from Vaughan's standard repertoire. There's nothing here she hasn't done before and they are as comfortable as a favorite pair of slippers. Her poignant renditions of "Send in the Clowns" and an upbeat "Just Friends," continue to be gems in the hands of Ms Vaughan. One of the highlights of the concert is a medley of favorite Gershwin tunes, "But Not for Me," "Our Love Is Here to Stay," "Embraceable You" and "Someone to Watch Over Me." The 2,500 plus people who attended the Chetelet concert that evening would not let Vaughan leave the stage. 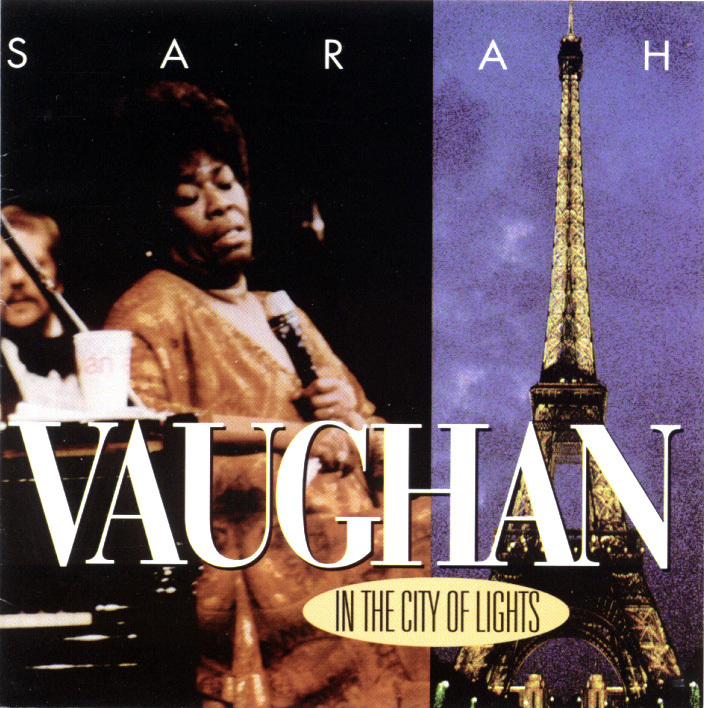 There was encore after encore, all of which are included on this 2-CD album, released by Justin-Time Records who are due significant kudos for releasing this previously unavailable Sarah Vaughan concert.